My niece, one of my MiShel Designs Models, is a good example. 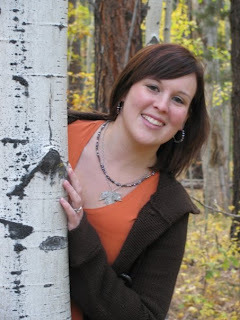 Her blog, "Lymphomania" is a tribute to her life during her bout with Hodgkin's Lymphoma. It's genuine, heartfelt, upbeat, quirky and absolutely a "feel good" blog - so please, if you want to see what those with true strength are made of, read it - you won't be sorry! "At the bottom of the picture the man says “We live as if we are never going to die, and we die as if we never lived! I WILL live as if i am never going to die, I live each day to its fullest and even in my darkest of days try to find the one little light to pull me out but I REFUSE to die as if I never lived…because when I get to that point in my life I will know I have lived, and I have loved and I have enjoyed everyday to its fullest!" She's got a great sense of humor as she goes through her treatments and actually cheers up folks who are in the same boat, gives homeless people her girl scout cookies, tell's men w/testicular cancer "good luck w/your balls" and talks regularly about 'poop'......it's a hoot and a real soothing read. So, cleanse your palate and see for yourself! Peace, Love and LIFE, Baby! !